BE FIRST TO OWN AT FIRST! ≈ Comments Off on BE FIRST TO OWN AT FIRST! 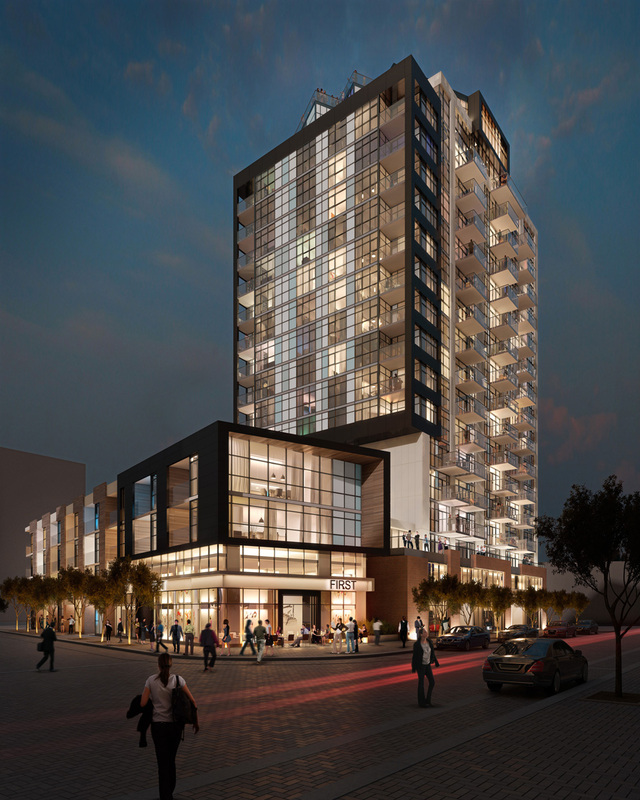 Diversifying your real estate portfolio just got a lot more exciting, with FIRST condominiums in Calgary. Baker Real Estate is pleased to have the exclusive Toronto listing for this remarkable new residence by Fram Building Group and Slokker Group. 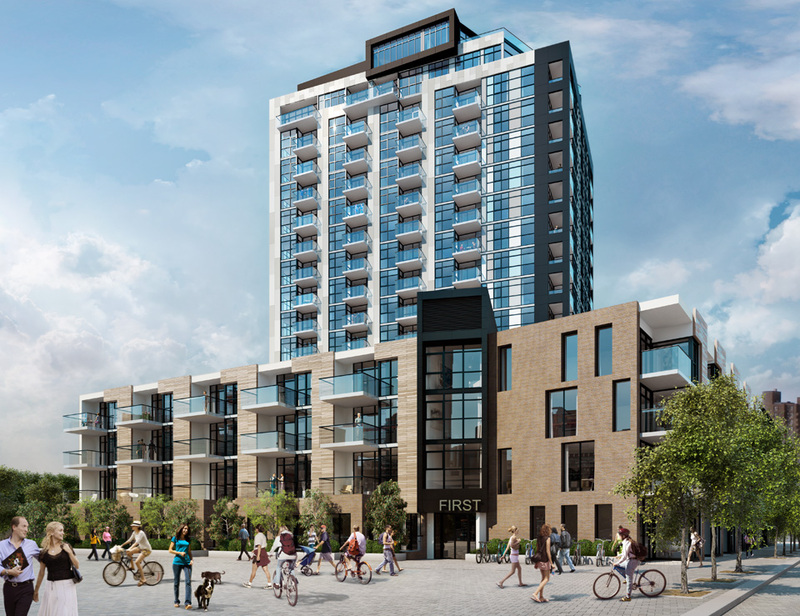 The first residential condominium in Calgary’s new master-planned East Village community, FIRST is situated on Confluence Way at 5th Street. 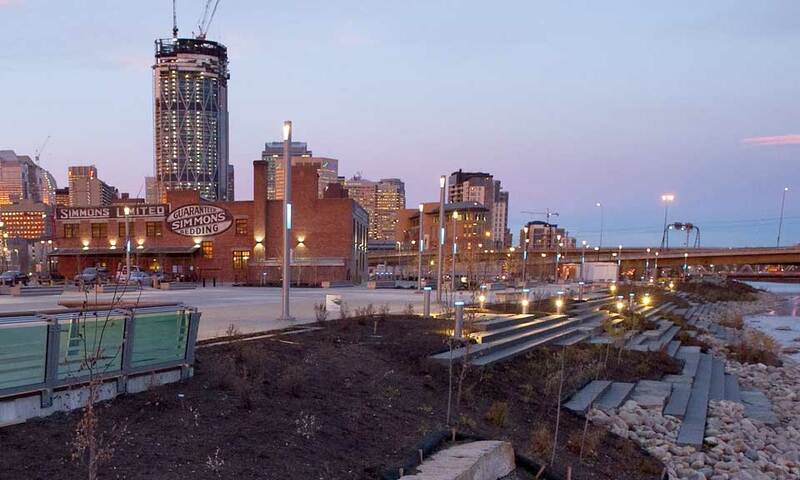 Dramatic views of the Bow and Elbow Rivers will be part of the everyday life of residents. These riverfront homes begin in price from only the mid-$200,000s! 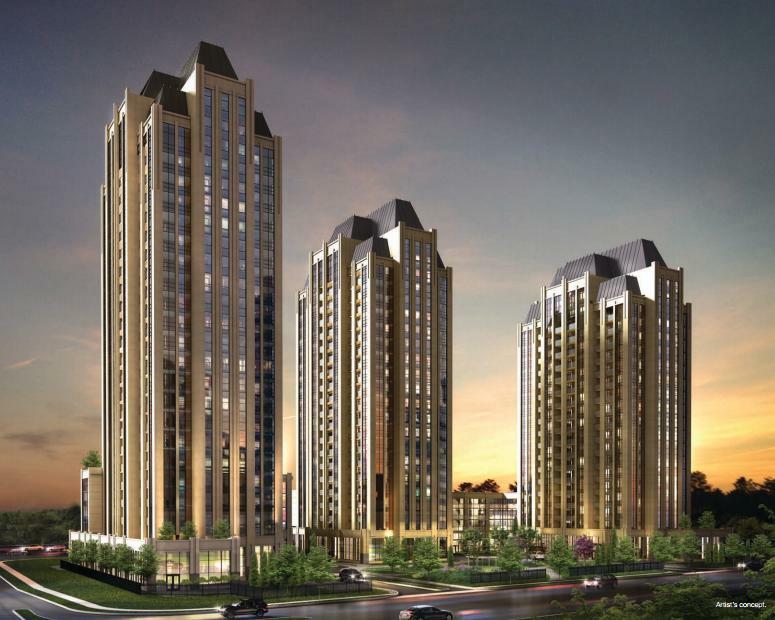 In the GTA, you would have to go to the 905 areas to find $500 per square foot pricing. But in Calgary, FIRST is literally steps from the city’s urban centre. Designed with extensive feedback from focus groups in mind, FIRST will be one of seven buildings that Fram + Slokker will develop in the East Village. 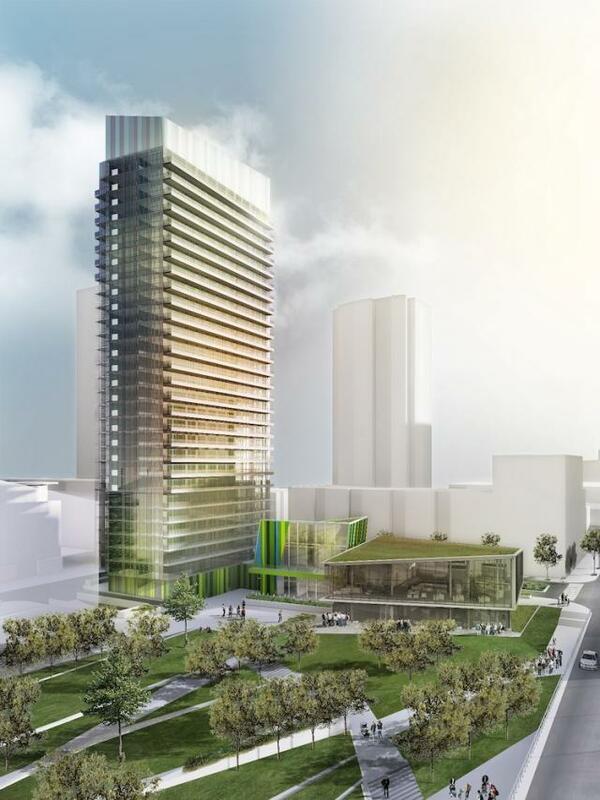 Touting it as a “New Calgary” for the next generation, this neighbourhood will feature stunning works of public art, extra-wide sidewalks, river access and more. 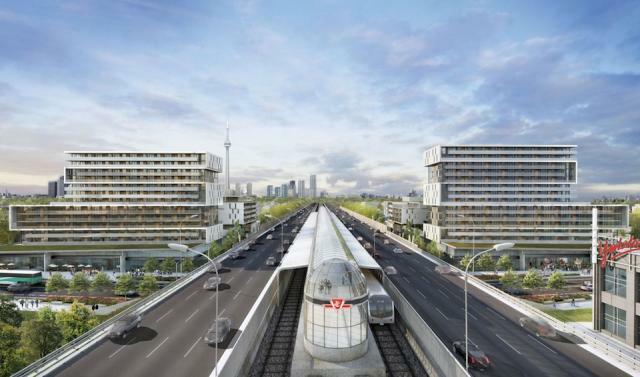 The new C-Train station makes commuting downtown a breeze. 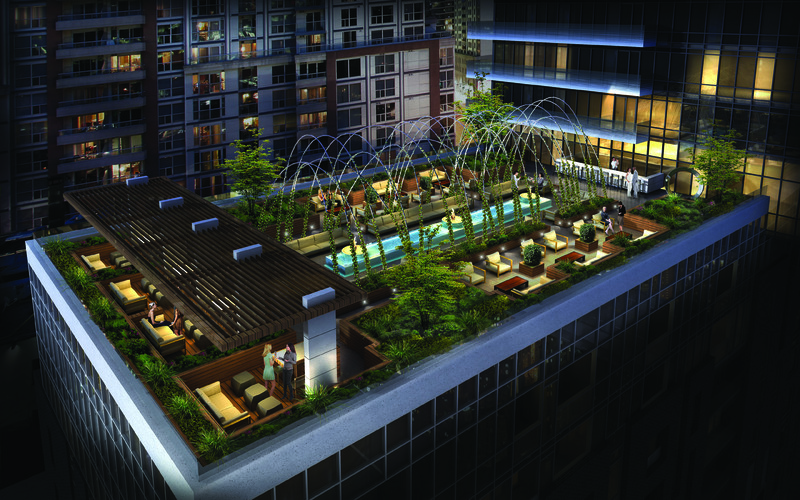 In the heart of it all, FIRST will contain amazing amenities. How about a “Creative Hangout Room” where soundproofing makes it possible to rock out to music with friends? 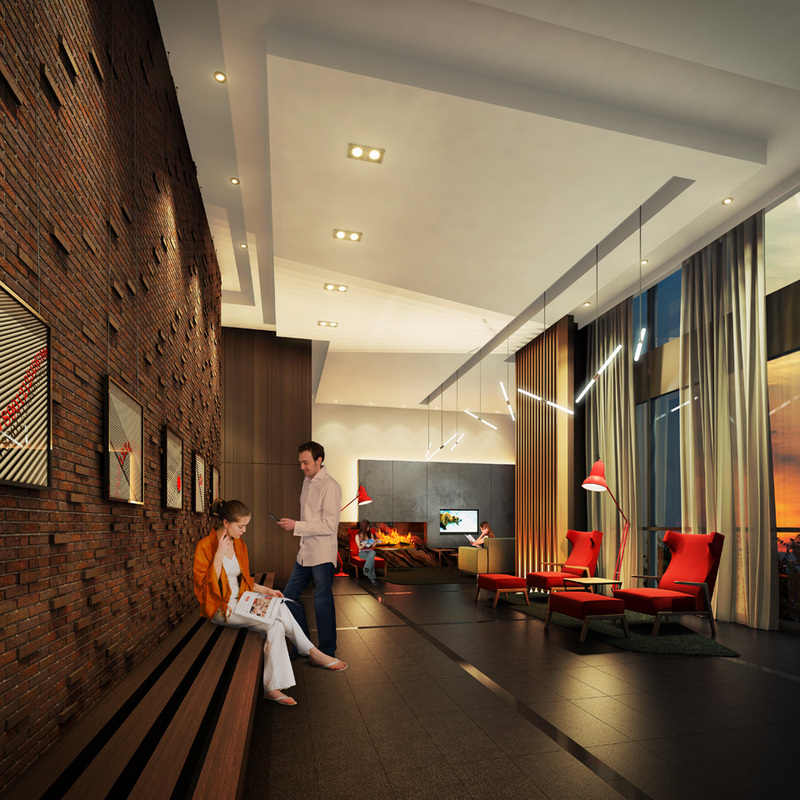 OR a Wi-Fi Café in the lobby complete with a flat-screen TV, espresso station, seating, fireplace and art gallery wall? 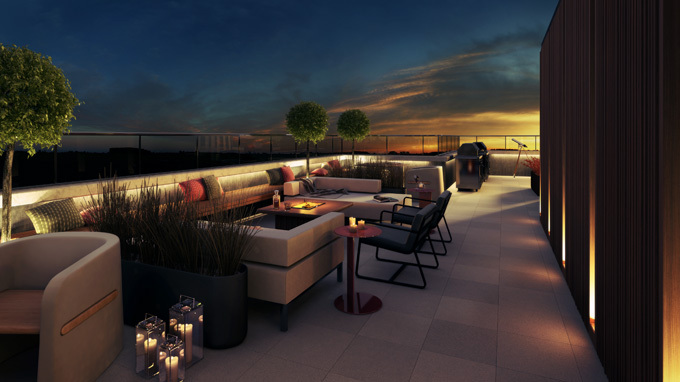 For entertaining and relaxing, there will be a rooftop Sky Lounge with a games room, meeting room, server kitchen and access to a rooftop patio. And for those who like to keep fit, a fitness centre and yoga room make it possible without leaving home. Suites are available from studio designs to two-bedroom+ den layouts, all appointed with top-quality finishes. The contemporary open-concept plans include kitchens offer the choice of two different concepts in three colour schemes. The kitchens feature a custom-designed island that can be pushed to the side to accommodate both sit-down meals and buffets. All balconies and terraces have a gas line BBQ hook-up for even more entertaining possibilities. The residence also has many green features that cut down on the use of natural resources. In a nutshell, FIRST is going to change the way people look at living in Calgary, and at Baker Real Estate, we are proud to be part of it all. To find out about investment opportunities, contact us through www.baker-re.com.